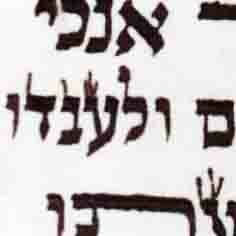 Is there an inyan to makpid on the angel of the end of the Yad kesher wether to the right or left? Does it matter which way ? To which side? Does it matter which way the alachson is? 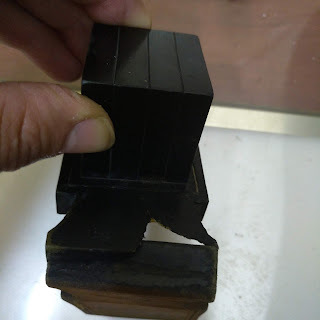 In sefer Taamei Haminhagim (Shi Lamorah Publishing) pg 625, the pictures show that the long side is towards the knot and the short side is the other side. My question is if it matters to which side the alachson goes? I remember reading somewhere that the only point of the alachson on retzuos is that it makes it easier to pull the strap through the bayis, and that, l'halacha, a flat end is also acceptable. 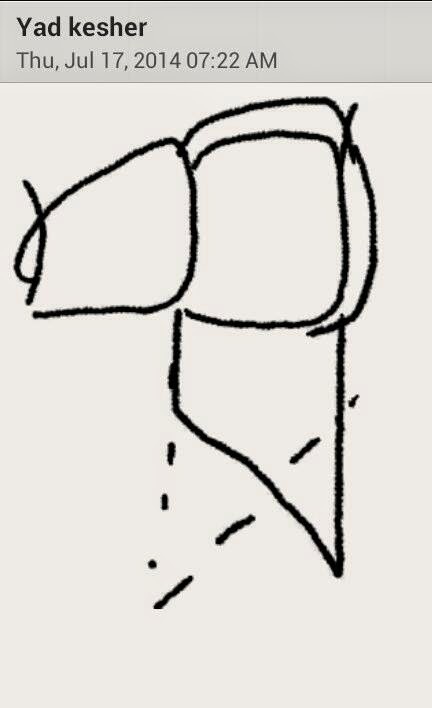 (Clearly, it wouldn't make sense to recut the end of the roll of retzuos so that one end was flat.) I couldn't even begin to say where I saw that, however. If this is the case, then it probably doesn't matter which way it slants. 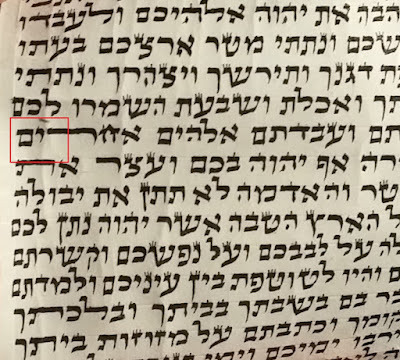 I also want to point out that the piece that sticks out should be kept short (the width of the retzuah) since it serves as the regel of the Yud and should not be longer so that it makes the kesher look like a Vav.